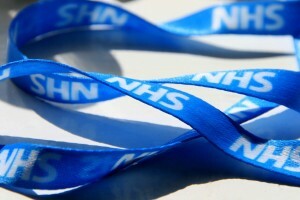 Since it came into being in 1948, the National Health Service (NHS) has acted as a lifeline for millions of UK citizens. It is now responsible for treating around 3m people every week, and dedicates a vast amount of its resource to revolutionising Britain’s health standards. In the 1930s and 40’s, thousands died from infectious diseases like pneumonia, meningitis, tuberculosis, diphtheria, and polio in Britain every year. But whilst the number of instances of people dying from contracting these diseases has drastically reduced, new challenges are emerging in their place. There are now 73,000 people living with HIV in the UK since the pandemic began in 1981, and the relatively recent rise in diet-related illness as a result of social change, such as obesity, diabetes and anorexia nervosa, pose new threats to the service. We take a look at how the NHS has evolved to accommodate the changing face of British health. Today the UK population reaches 56.1m. Figures from a UK census indicate that back in 1911, there were just 36.1m people alive in the UK, with a life expectancy at birth of 49 years for men, and 53 years for women. These figures have increased dramatically in the present day, as even during the last 50 years the average life span across England and Wales has increased by approximately 10 years for men, and eight years for women. Infant mortality rate recorded in 2011 stood at just 4.4 in 1,000, and has fallen by 60% in the past 30 years (ONS). The NHS must take a huge share of credit for these advances, as without the service it has provided to the UK, a quality standard of healthcare would only have been accessible to children from affluent families. In 1948, patients who underwent cataract surgery needed to spend a week totally immobile with their head supported by sandbags. Now, cataract operations can be performed in less than 20 minutes, with most people leaving hospital the same day. As recently as the late ‘50s, hip replacement surgery was so rare that if you were fortunate enough to have it, you would be asked to arrange for it to be returned to its inventor after your death. Today, around 1,000 hip replacements are carried out by the NHS every week. The first heart transplant patient survived for just 46 days after his operation in 1968. Patients who have a heart transplant these days will commonly go on to live for at least another five years. In 1978, huge advances in medical science saw the birth of the world’s first ever test tube baby, Louise Brown. July 2012 marked the birth of the 5 millionth test tube baby. In the early 1970s, just over half of women diagnosed with breast cancer and less than a third of men diagnosed with prostate cancer were still alive five years later. Now, the survival rate for both forms of the disease has improved by over 50%. However, despite all these medical advancements, in the present day heart disease remains the UK’s biggest killer, accounting for around one third of deaths. This was also the case 60 years ago. Whilst the NHS has seen phenomenal positive change since it began, there are still huge challenges facing the organisation. In this case, contributed by Laura Moulden on behalf of Cheselden, the leading Continuing Care review specialists. Visit the site today to find expert Cheselden Healthcare Funding advice.